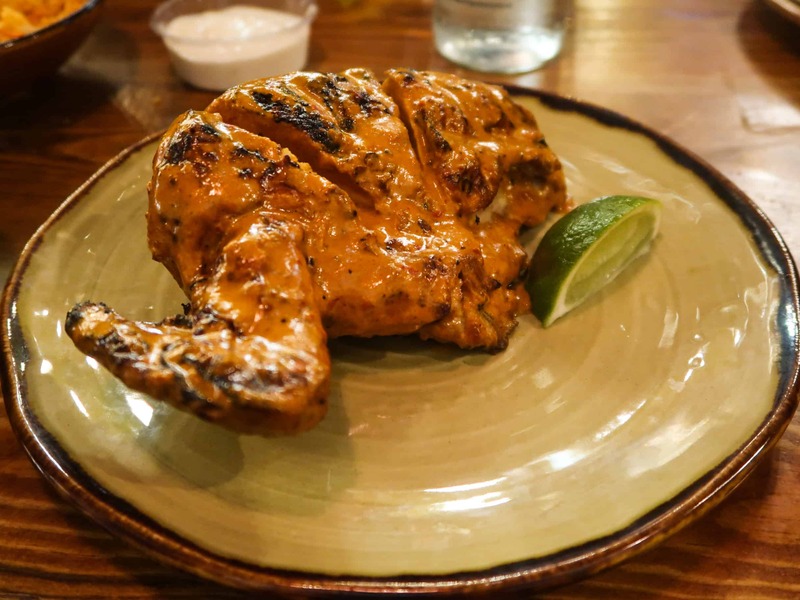 When the first halal Nandos opened in London, I’m not going to lie, I was totally stoked (as were you guys too!). 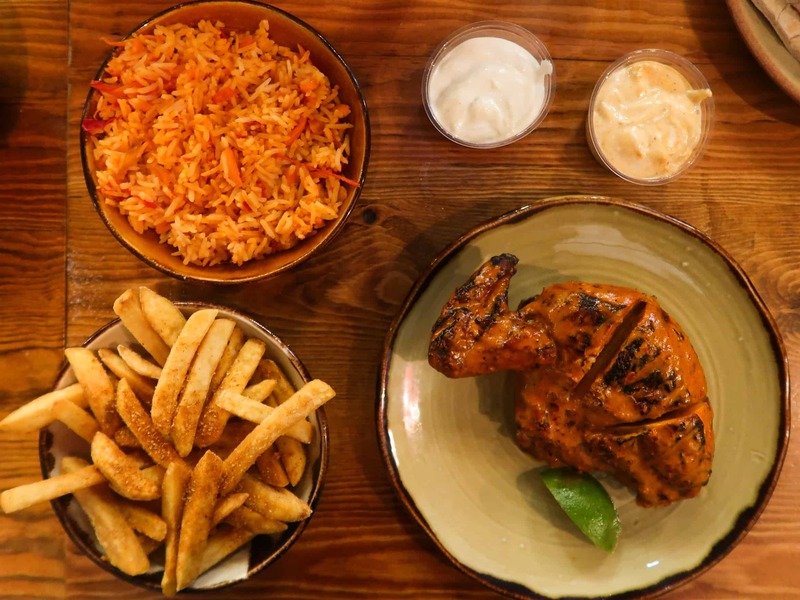 Chicken marinated in all these exciting sauces, and served with a mountain of peri-peri fries, rice, and that perinase sauce – omg, what was there not to love! 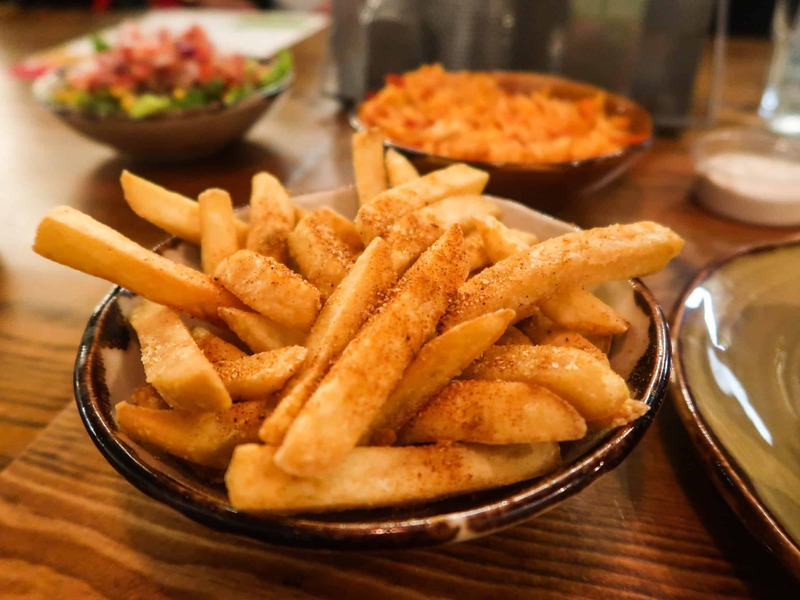 As time went on, my experiences with Nandos seemed to wane on the negative side, and I don’t think I have visited one for a couple of years now. Thankfully, my love for the concept was reignited when I was introduced to Chiquen. 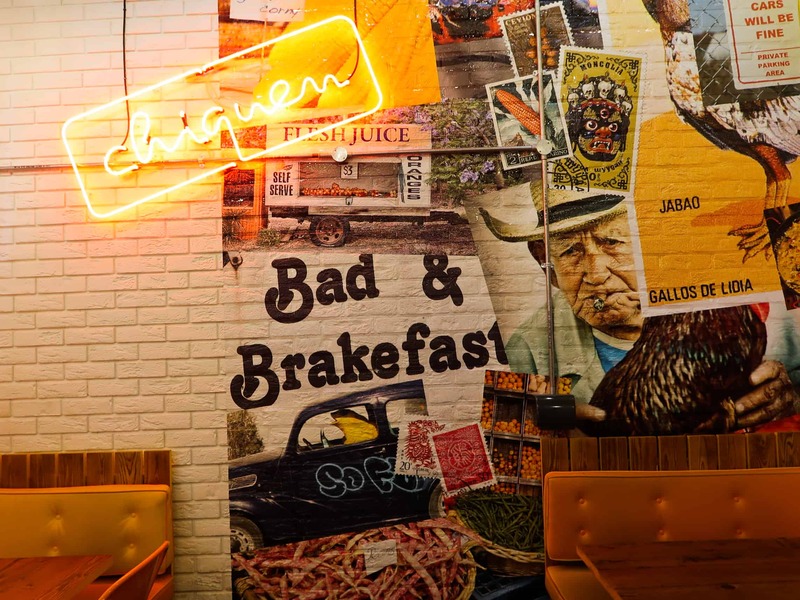 Chiquen is a quirky fast-food chicken concept based in Wood Green. 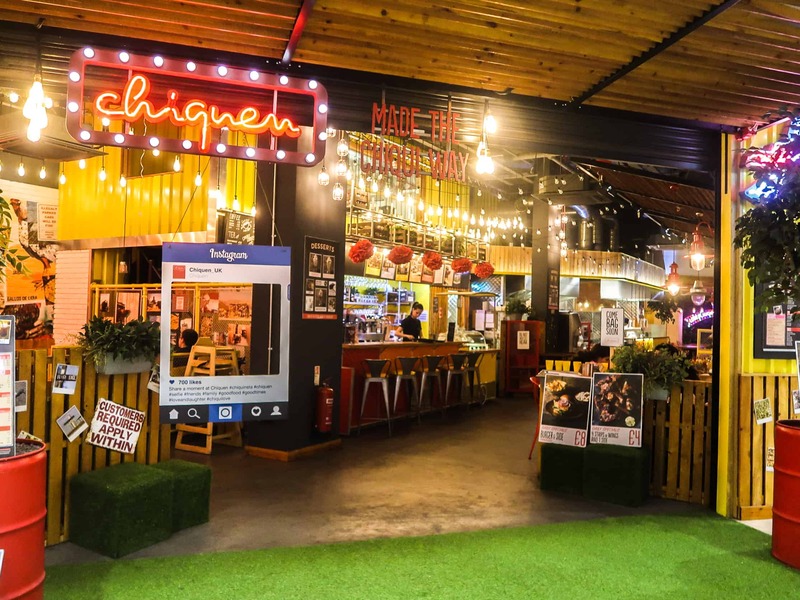 It did require a lot of nudging on my behalf to get me to go there, as it is located inside the shopping centre on the main high street, but upon walking in, I realised that this was not an ordinary chicken joint. Look at it! 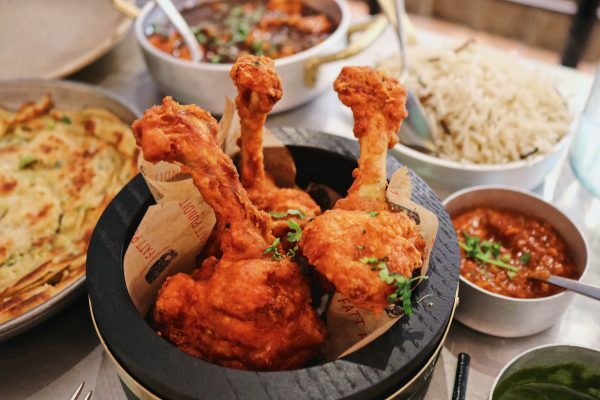 Just like Nandos, there is a selection of sauces, but ones that have been inspired by the owner’s travels: Kansas BBQ, Sicilian Mild, Old Delhi Spicy, Mozambique Fiery, and Malaccan Volcanic. These are all gluten-free, mind you. Hungry, FAB and I got ordering. A ginormous, humongous quarter chicken that had been been chargrilled and brushed in marinade. 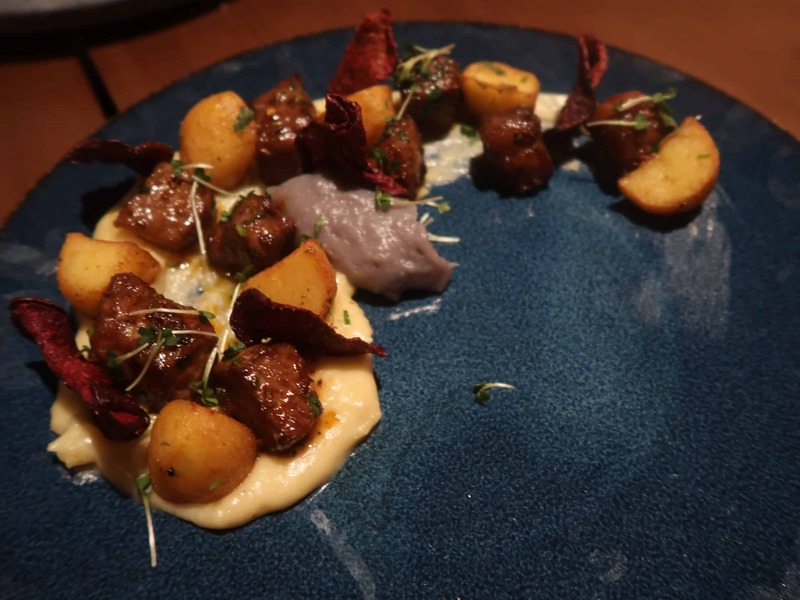 Although I had my eyes set on the Malaccan Volcanic spice level, I was advised to go for the Mozambique Fiery for a more subdued heat and boy, was I glad I did. The saucy mozambique marinade had a slight nose-wiping effect and I had to keep reaching for some pitta bread to cool down my mouth. FAB skipped the spice and went for the sweet Kansas BBQ chicken wrap. 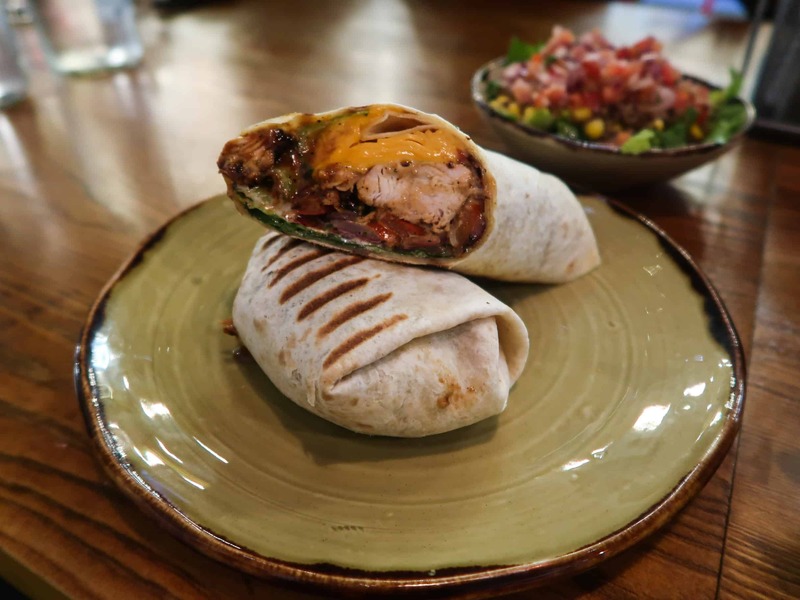 The tortilla arrived packed with juicy chicken strips, salad, onions, and peppers. Although I’m not much of a BBQ sauce fan, the sweet and smokiness combined nicely with the other condiments. The fire fries were quite ordinary; a little more crisp would have been nice. 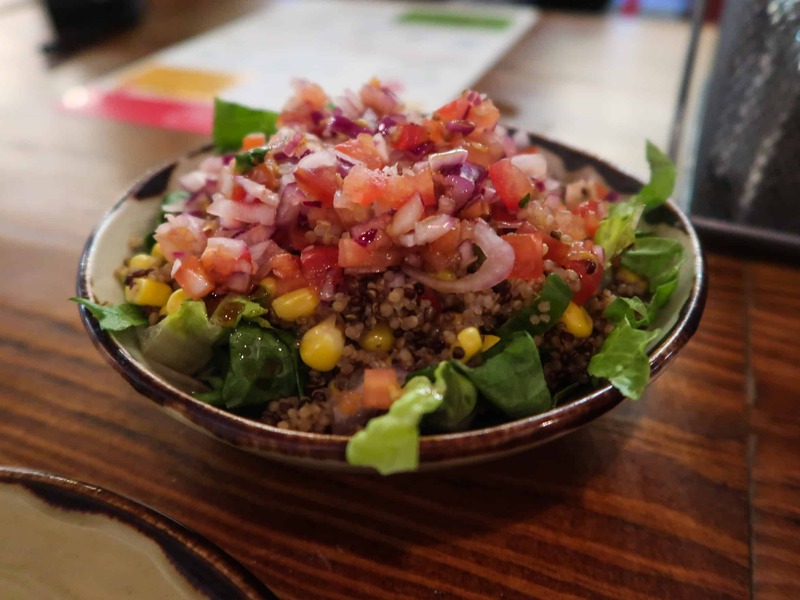 To add a little green into my diet, I had the super food quinoa salad with a tart pomegranate dressing. A nice side addition, but nothing special. As healthy as the Chiquen menu is, the desserts are absolutely deathly. 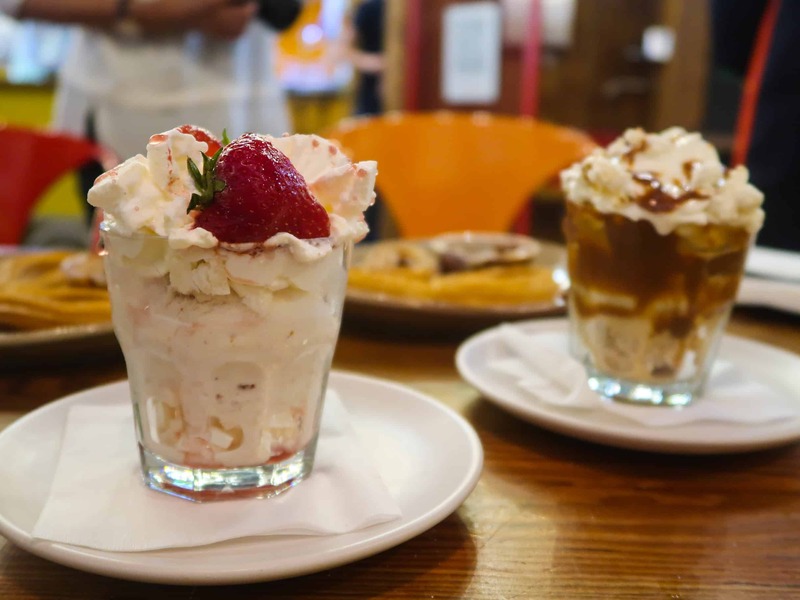 Like this cute mini strawberry sundae made with incredibly creamy strawberry ice cream, topped with sauce, chunks of meringue, and fresh strawberries. Or the salted caramel with toffee popcorn, chocolate buttons, and toffee sauce. Whilst I didn’t care much for the sauces in either of the sundaes, the ice cream itself was a super and so smooth. 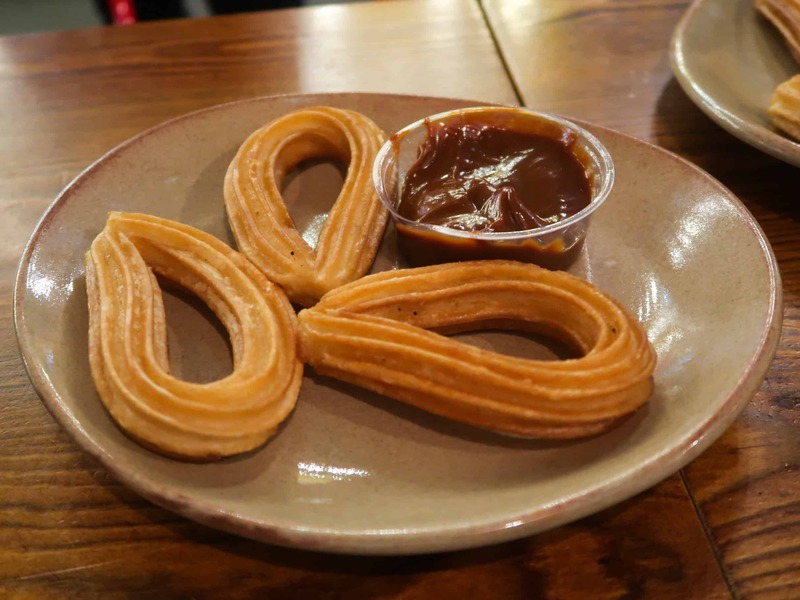 We finally finished off with a couple of plates of churros, with dulce de leche and chocolate sauce. These were okay and I appreciated the effort that went into making them, but I would opt for the sundaes if I were you! 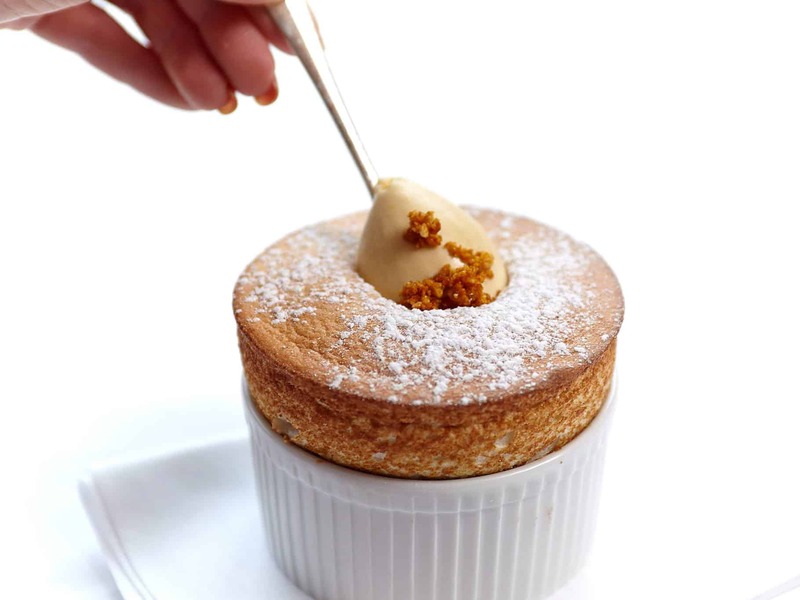 The total bill for two amounted to approx £28.00, excluding drinks and service, so £14.00 each. 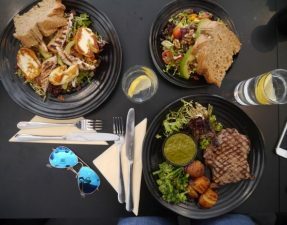 Whilst we had over ordered (as usual), I was astonished to find lunch at Chiquen was super duper cheap! 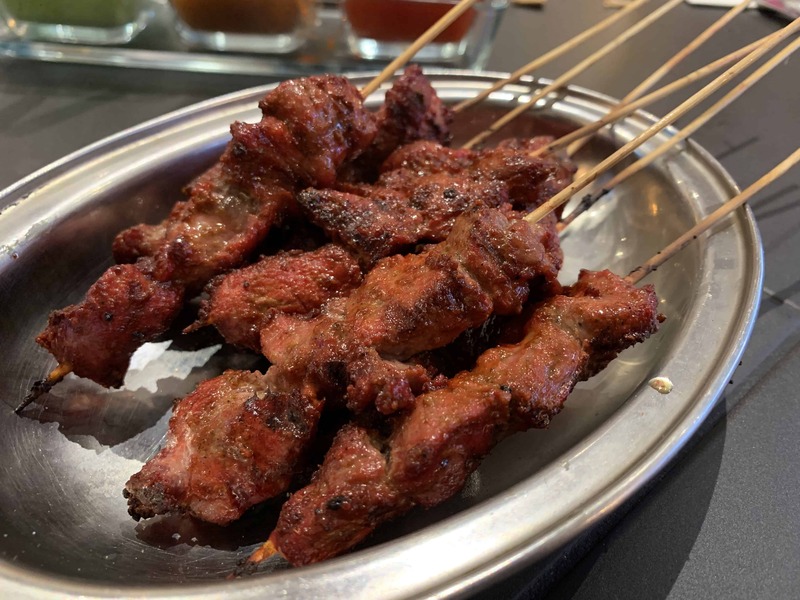 Yes, I was a little apprehensive in reviewing a chicken shop on HGAT, but Chiquen put my snobbery in it’s place, and I was pleasantly surprised by meal. 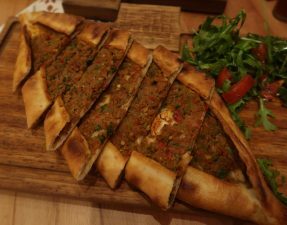 It may be a little far out for some, but is ideal for when you’re in the area with the family, or even a great protein boost after a gym session. Disclaimer: I was invited by the restaurant. 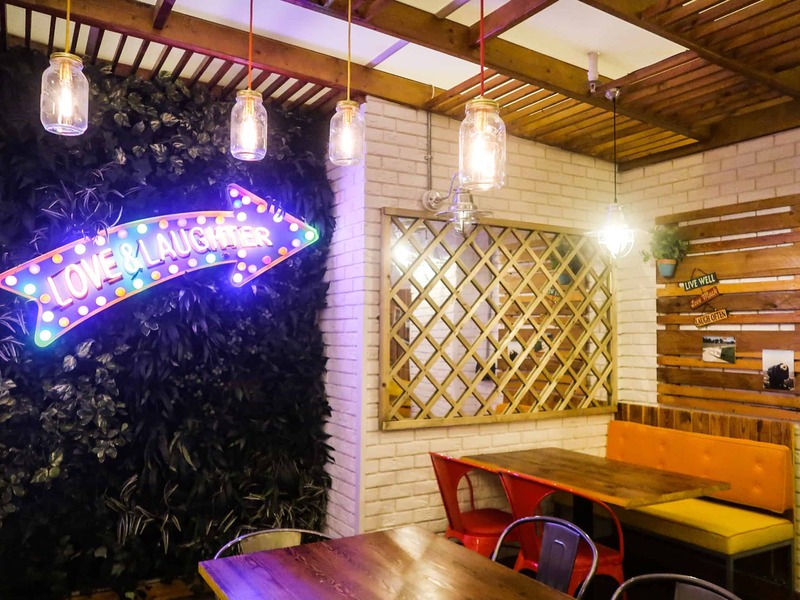 For a different style of chicken shop, read my review of Chicken Shop here. – Halal status on chicken verified by restaurant and owner with certificates. – No pork, but alcohol is present.